This post originally appeared on the Buffer blog. Do you know what you’re posting, sharing, and blogging this Thursday? How about two Thursdays from now? Thursday of next month? Thursday of next year? We don’t have things figured out quite to that extreme here at Buffer, but we do have some idea of what’s ahead. (Those of you who are yearly planners, our hat’s off to you!) Planning content far into the future is a common element of many marketing strategies, and the erstwhile content calendar—in its many shapes and forms—fits this role perfectly. 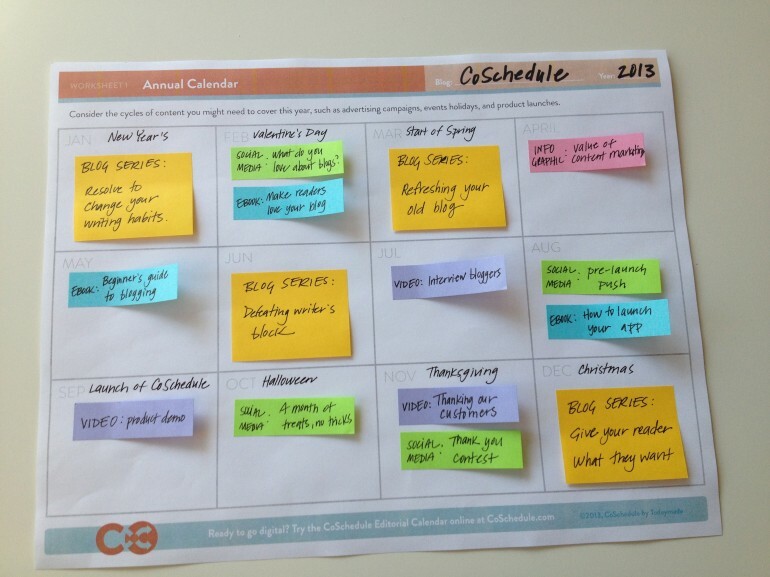 What calendar do you use for your social media marketing and content creation? 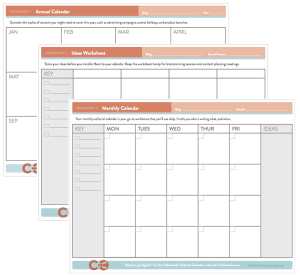 We hear a lot of interest in calendars from our community, so I dug around to find some of the best tools and templates for premium and free content calendars, as well as the elements that make a good one—the who, what, when, where, and why of planning out content a week-at-a-time, month-at-a-time, or year-at-a-time. Here’s what I discovered. 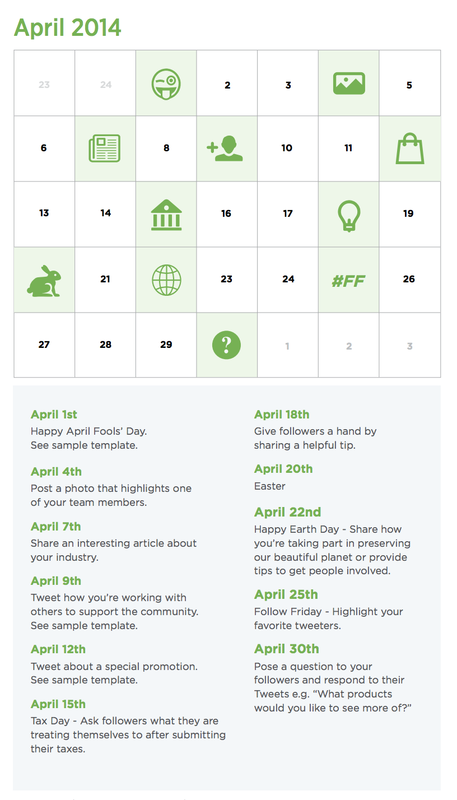 We recently held a webinar with the team at Twitter, and included in the webinar slidedeck was a slide of a content calendar. This slide was a big hit with everyone who saw it, and our community wanted to know: What is this calendar and where can I find it? Turns out, the calendar was just a graphic. Nevertheless, the magnetism of that graphic got us to thinking: What made the calendar slide so attractive? I found a couple psychological theories that might explain why. Now, I’m not saying that blogging or tweeting is hard, per se. But psychologically, we have a much easier time thinking about content when it’s pitched to us as a calendar. 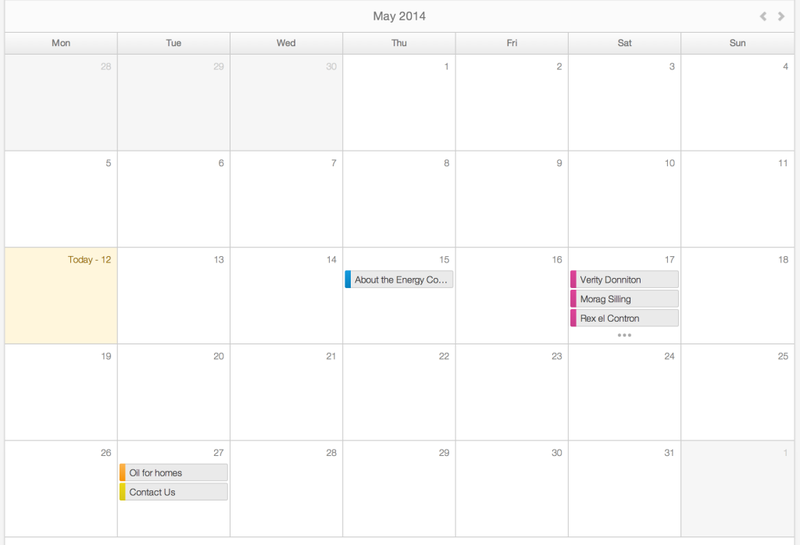 When we see our work laid out in a calendar, we find it to be much more manageable. The familiarity of the calendar minimizes the difficulty of our work and instead makes it exciting and fresh and fun—and we’re enthused to keep at it. Cost-benefit analysis says that our behavior is influenced by how easy or difficult we perceive an action to be. An easy-looking calendar is more likely to gain a positive, visceral reaction—as we experienced when we showed everyone the calendar graphic in the webinar. Hick’s Law is similar. According to this law, we take longer to come to a decision when we are faced with more options. The Twitter calendar was simple, clean, and gave off the appearance of few options, which could explain its popularity. These theories might be helpful to keep in mind when you’re choosing a content calendar of your own. Find one that is familiar, simple, and easy-to-use, and you’ll be more likely to stick with it. A content calendar gives you new perspective both in the way you think about your content and in the way you see your content. You get to examine your updates, sharing, and blog posts from a 10,000-foot view, where you can’t help but notice the big picture. It’s easy to get lost in details when you’re in the heads-down process of content creation, so having a larger visioning session to create the calendar plus taking regular peeks at the calendar once it’s made can help bring your work into context. Have you ever had an event sneak up on you? I’ve been there before, and in the mad rush to produce content for the event, I kinda wished I had written it down on a calendar. When you plan your content well in advance, you can prep and organize around the key dates that could influence your content. As you’ll see below, many big brands plan out far ahead to cover the recurring events and important dates that seem to crop up at the same time every year. Working ahead on blog posts is my guilty pleasure. (I don’t know why I need to feel guilty about it, but I do.) Calendars help me see what’s coming up so I can carve out time in my schedule to get ahead. In general the further ahead you plan your digital content publishing the better placed you are to produce a consistent flow of content that builds your brand’s perceived expertise in your chosen subject areas. Should you have a weekly, monthly, or yearly calendar? Yes. The purpose of the process is to think big-picture about the content you create and share. It’s similar to the heads-up/heads-down approach I mentioned above. You need to pick your head up every now and again to see where you’re headed. Should your calendar include blog content or social media content? Yes. 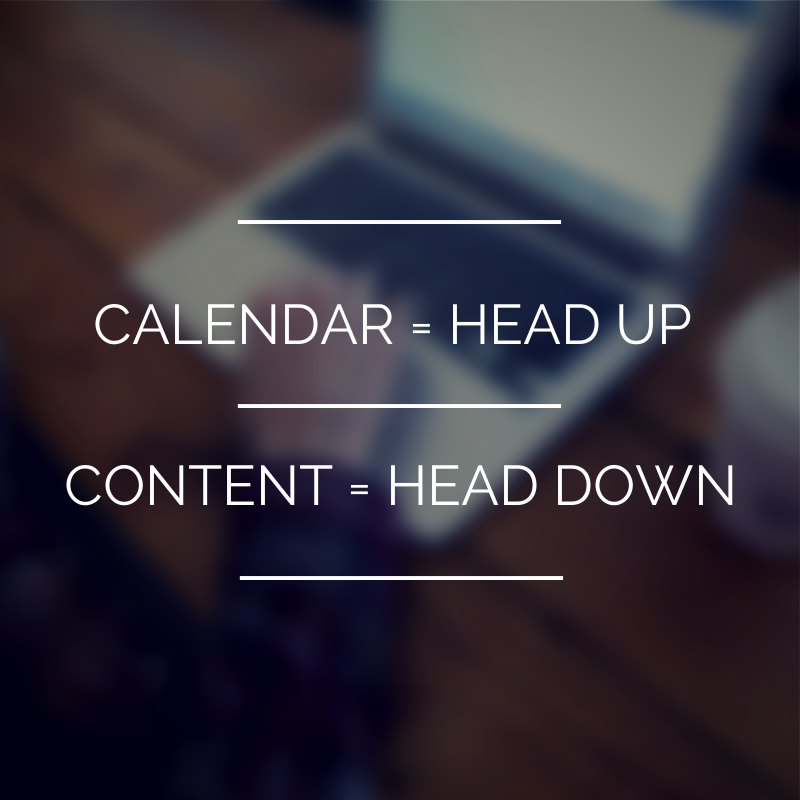 There is no wrong way to build a content calendar. 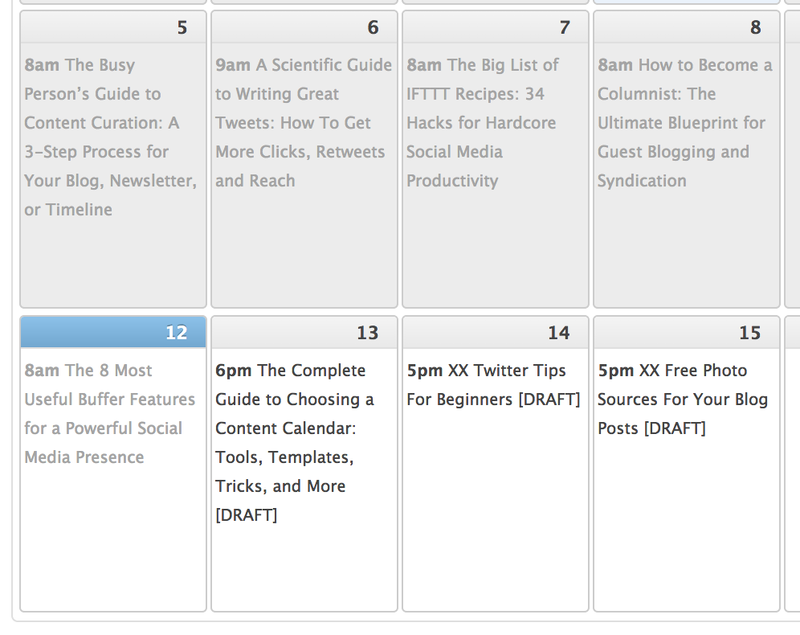 As you’ll see in the tools below, some calendars include both blog posts and social media updates. Depending on the way your marketing team is set up, you can approach calendars from any number of different ways. Many content strategies begin with marketing personas, and the messages of the content align to fit different needs and customers. Identifying these different audience types will likely guide the way your calendar lays out. For example, our Buffer content might be 80 percent social media tips, 10 percent Buffer tips, and 10 percent product announcements. You can likely find even more ideas on what types of content to add when you consider all the many different ways you can repurpose content. Create slide decks from existing articles, compose e-books based on past stories, tap the expertise of your coworkers, etc. 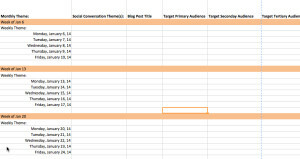 Combine all these different factors, and it’s easy to see how a content calendar can take hundreds of different forms. Find the form that’s right for you—detailed or minimal, weekly or monthly, etc.—and start working it. 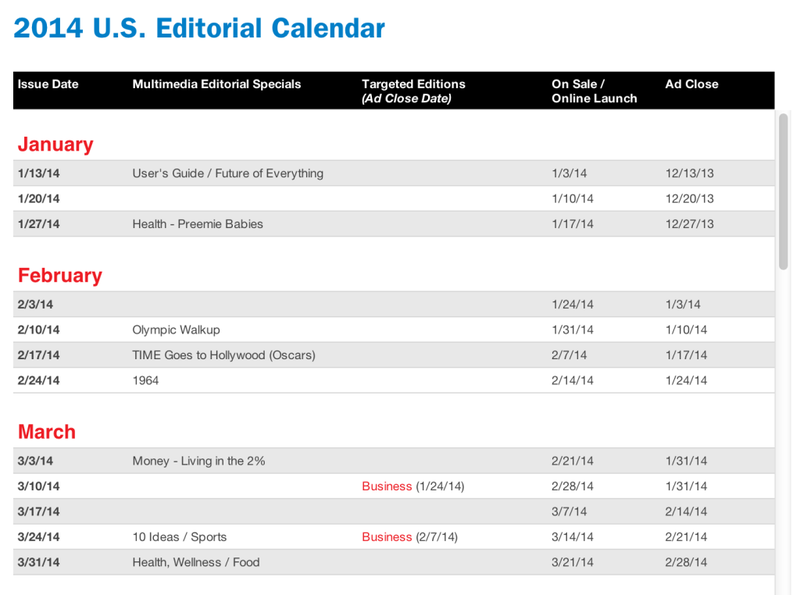 Many big brands use content calendars to plan out weeks, months, and a year in advance. Here are a few that make their calendars public online. Feel free to use for inspiration and ideas. 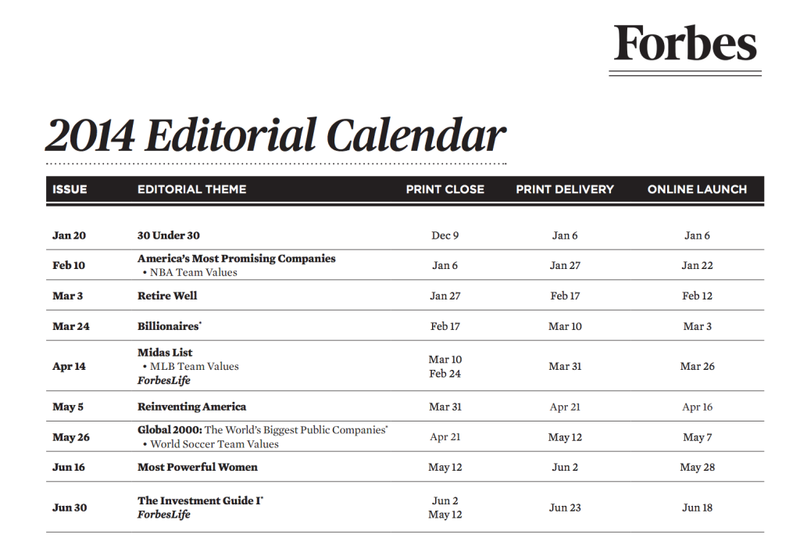 Forbes Magazine’ yearly editorial calendar includes the highlights of their 18 big recurring features and where these features land on the calendar. The list view shows when the copy and design are due (the print close), when it is delivered to print subscribers, and when it launches online. Time magazine also plans content a year out, providing deadlines for print, online, and advertising on some of its most popular (and important) features. 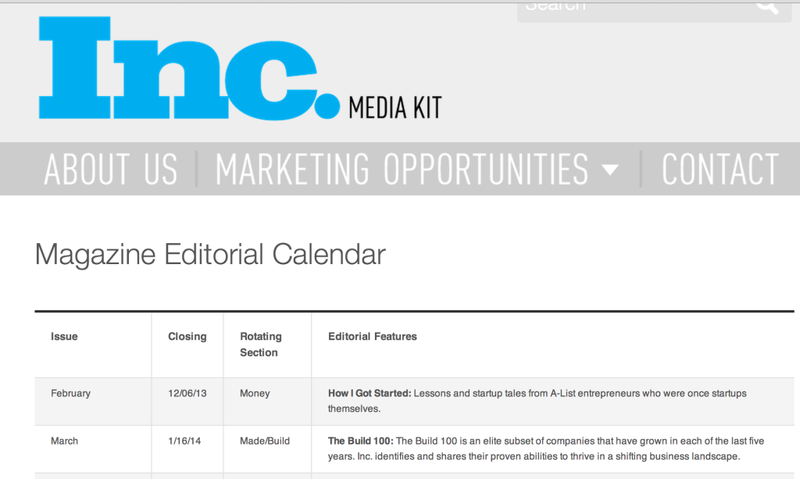 Inc’s calendar highlights the most important moments on the magazine’s editorial and online schedule. Features like the “Inc. 500″ and a “How I Did It” series are known a full year ahead so that content can be created and advertising can be sold. Vogue’s editorial calendar is very similar to the others: Brief descriptions of the content with relevant publishing and print dates. The gang at CoSchedule shared their annual calendar, which they keep with paper and pen (and color-coded stickies). 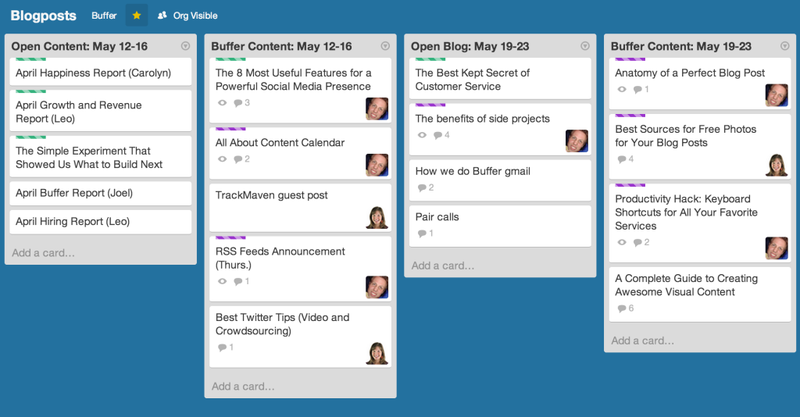 We schedule our blog posts a week at a time with a fluid to-do board in Trello. We’ve found that ideas and directions change quickly, so we try to assume a good level of flexibility with the content we plan. There are no set dates for the content on the Trello boards; we publish whenever the post is ready. 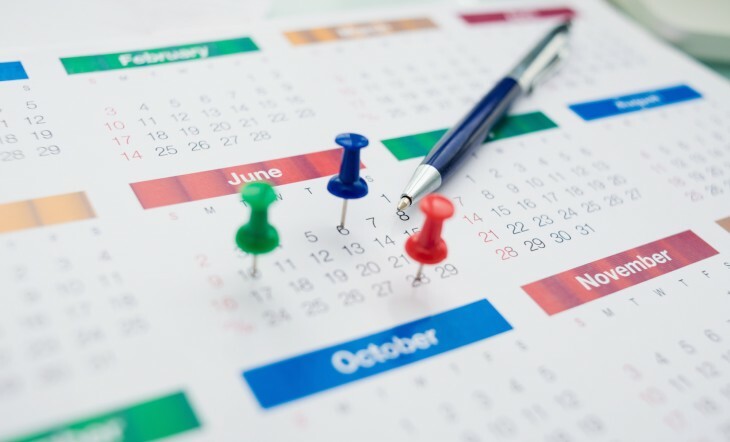 A calendar tool is a common way that content producers choose to stay organized, whether in a standalone app or an integration with a company’s content management system. What features are most important to me? e.g., collaboration, sharing, follow-up, progress, assignments, etc. How easy will it be for my team to find and use the calendar? 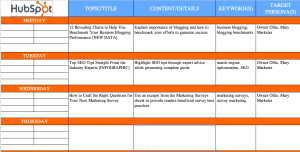 Does the tool or template fit our content plan? e.g., does it support social media updates, visual content, etc. Here are five tools that you might find helpful, depending on your needs. We use this tool for scheduling our posts for the coming weeks. The drag-and-drop interface updates both the calendar and the unpublished posts themselves, and it is a cinch to use with a WordPress blog (or two). Gather Content, a tool for content marketers and project managers, stores files in the cloud for consistent group editing and has some neat features in terms of assigning tasks and tracking progress. 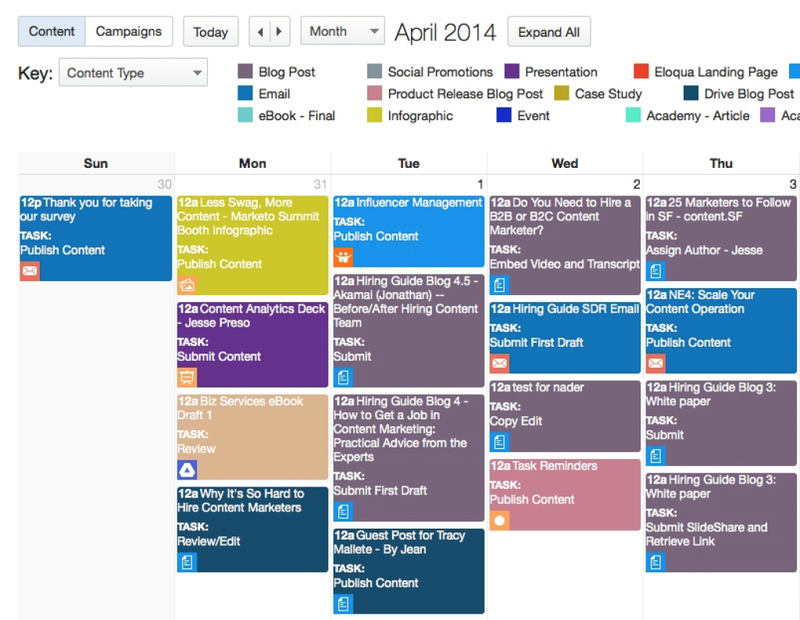 Kapost focuses directly on content marketing, with a slick calendar for writers, editors, and publishers. The calendar is one of many tools that Kapost offers, including online payments and a distribution and analysis system. A WordPress plugin, CoSchedule synchronizes your blog posts and your social media sharing on one unified, drag-and-drop calendar interface. 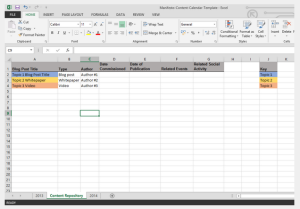 For complete and total customization, you may want to just create your own calendar with a free spreadsheet. Many of the templates you’ll see below were built in Excel. The benefit of doing your calendar this way is that you have full control over what you want to plan and track, and you can do so for free. Here are five of our favorites. 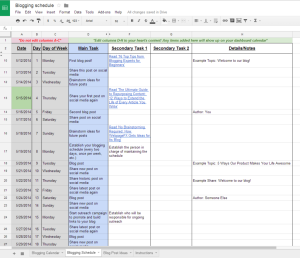 If you’ve been creating content for long enough, you’ve likely experienced the benefits of a content calendar for your blogging and your social media updates. A strategic approach to content makes a world of difference for delivering the absolute best blogs, updates, and shares you can. What do you use for a content calendar? Which elements of the calendar are most important to you? I’d love to hear about your experience in the comments.